A few days ago I wrote about how I was going to try a new domain parking company called TheParkingPlace.com. They received a good review and a nice plug from a writer at DomainConsultants and I figured I’d give them a try. Unfortunately, just 3 or 4 days into my experiment with them, I have decided to pull my domains from their platform. It has nothing to do with parking revenue but with their domain traffic reports. I don’t like inflated traffic numbers. I’m smart enough to know that my domain that got 1 visitor every single day since since the day I bought it didn’t get 14 out of the blue only to continue with 1 the next day. I’m also smart enough to know that a domain that didn’t get a visitor can’t receive clicks, many of which did according to their reports. 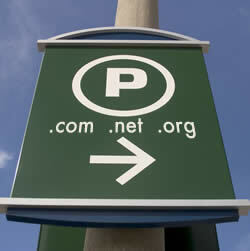 This is not to say that TheParkingPlace.com isn’t a good place to park your domains. I would recommend them if you have domains that relate to gaming, electronics, or social media. As I stated the other day, the parked domains at TheParkingPlace forward to offer pages. This concept is obviously going to work well with some domains and not others. Personally, I don’t have many gaming or social related domains so I really don’t see my revenue increasing by any drastic amount anyways. My only gripe is that I’m a stickler for accurate traffic reporting and I just didn’t feel I was getting a correct report every day. So what am I going to do next? Well, as I said in my previous post, I’m going to try something different. This weekend I’m going to create a ‘domain for sale’ page. I plan on creating between 8 and 10 different pages with different ‘buy it now’ prices listed and then forwarding my domains to the page with the price I’d like to receive for it. For domains I’d like to move, the price on the for sale page may be as low as $250. The page will have some information about domains and give some general information about buying a domain for a business. It will then have a contact form asking for basic information. I will post an example when I have it all up and running. I have quite a few domains I’d like to move quickly and hopefully this will allow me to do it. Obviously I’ll be missing out on the parking revenue but it’s hard to miss out on something you hardly notice. As well everyone that goes to your site enters their email into that survey site, and usually what happens in a few days you get a dozen or so unsolicited emails for stuff you do not care about, I do not like it. If you are going to spend time on setting things up you might want to consider http://www.commercialmicroportals.com/ still in beta imo , requires a time investment, learning curve steep. http://www.noomle.com/ an automated solution domainholdings.com doubt they will beat parklogic.com. Your increase in traffic might be due an reindex in several search engines. Some of these spider bots count as visitors. Course if you are a member of domaining.com you can also list your domains on cax.com and do a url forward to the page. Just a FYI. I’m looking forward to hearing the results of your new experiment. My reports were actually very accurate during my time with them. Not sure what happened with yours. In my case, my income simply diminished. I also think there might be a chance the service diminishes future direct navigation to your domains in the sense that if you visit on of those sites with those offers you sure as hell remember it and try to avoid it again. Parking sites are not that caustic, so to speak. Lastly, I’m wondering if domains in the program get blocked by peoples filters or ISPs etc….as spam or as a malicious site. It seems to me my consistent traffic dipped on some of my domains after using the service, so that is why I began to think about some of these things, which I should have thought about earlier. I’d say though, it’s still good for sending certain types of traffic to, like real crap traffic or banned domains from Google or Yahoo, etc…. I’m more concerned about some of the specific offer pages and what (if any) legal ramifications might come as a result of them. I’ve seen the Facebook and LinkedIn looking offer pages. If I were Reid Hoffman or Mark Zuckerberg I would have a major problem with it. I would feel as if the landing pages with these offers are specifically designed to (deceptively) leverage my brand and consumer awareness of my brand. If someone arrives at a Facebook (style) offer page and believes that the offer is coming from Facebook or a company that is partnered with Facebook that’s a serious problem. We’ve seen domain owners with TM domains going to these landers being brought to court. I just have major concern that this could carry over into non TM domains in the future. I believe that at some point if there’s 100,000 or more of these Facebook style offer pages in place Facebook will have to take a stand against it. The most effective way to do that is to just sue the hell out of one domain owner. One that is not using a TM domain. But a generic with a lot of traffic. Get a judgement and set a precedent. From there it’s all downhill.